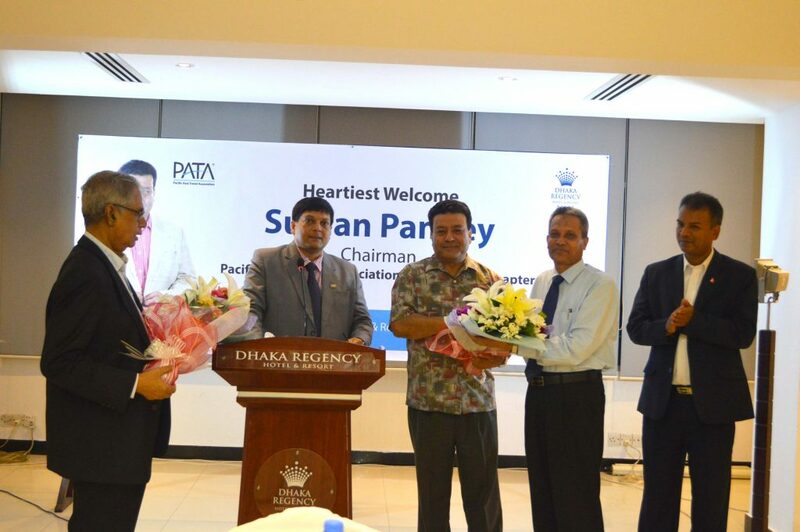 Bangladesh Chapter of The Pacific Asia Travel Association or PATA that promotes the responsible development of travel and tourism organized a reception party in honour of the Chairman, PATA Nepal Chapter Mr. Suman Pandey at Dhaka Regency Hotel on Saturday, 5th August, 2017. 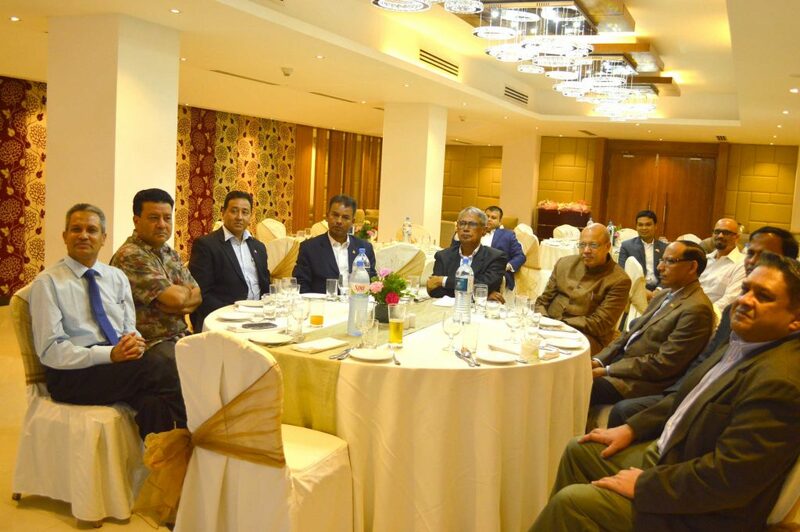 The PATA Nepal Chapter Chairman is currently visiting Bangladesh and the reception party has been arranged to create a long-term and strong relationship with PATA Bangladesh chapter and to ensure a smooth journey on the path of sustainable tourism and hospitality. 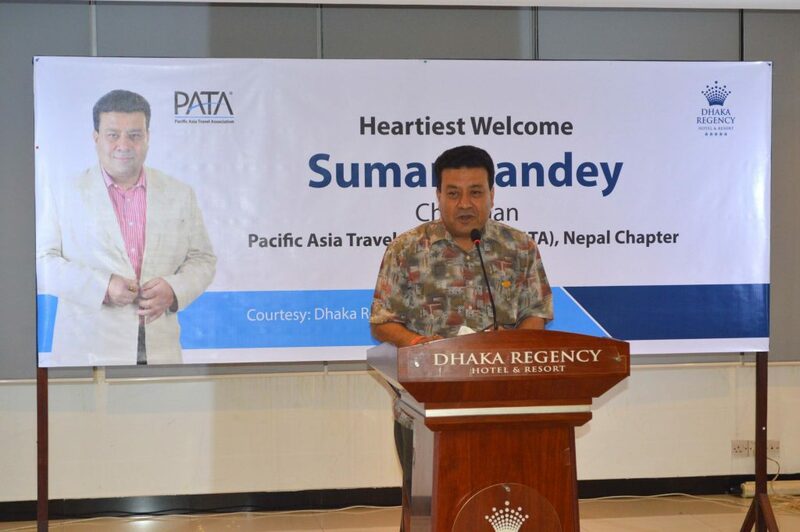 Speaking on the occasion, Mr. Pandey stressed the common cultural heritage of both Nepal and Bangladesh and urged the industry leaders to develop joined programmes where both Bangladesh and Nepal can benefit from tourism. 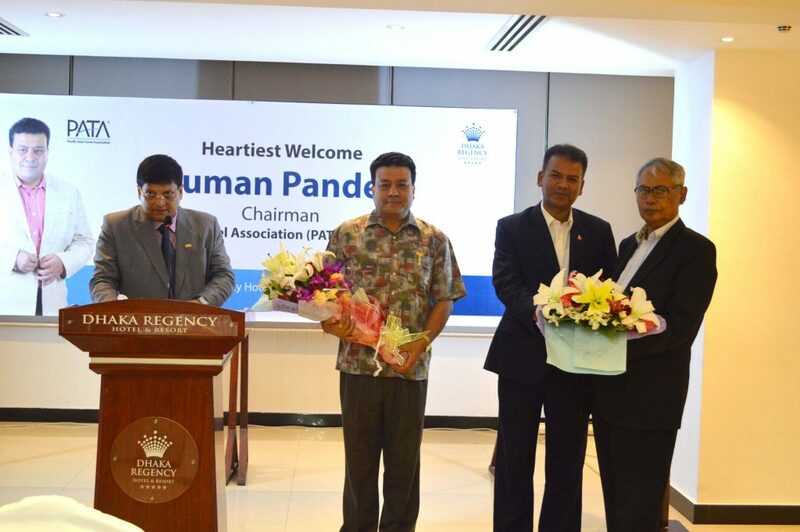 Welcoming and thanking Mr. Pandey, the secretary general Mr. Taufiq Rahman focused on joined promotion and marketing, and extended itinerary between two countries. He also presented the idea to organize a B2B session between PATA Bangladesh Chapter and PATA Nepal Chapter in December in Kathmandu, Nepal. 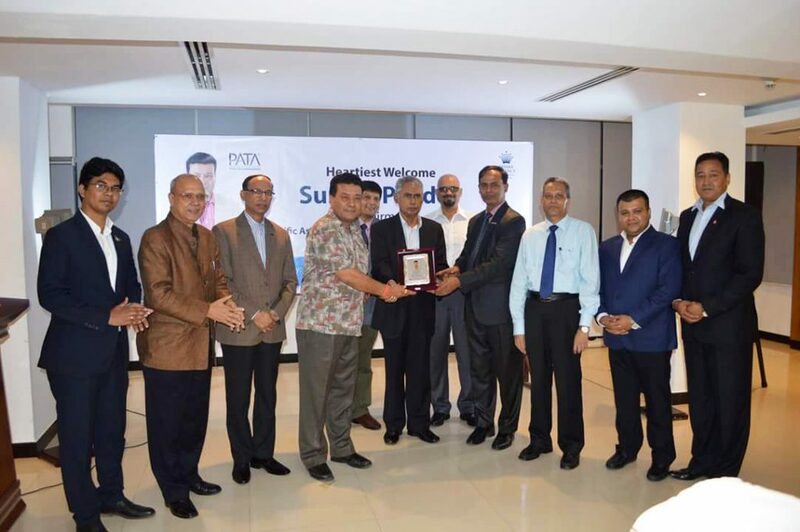 The programme was graced by the honourable Advisers and Executive Committee members of PATA Bangladesh Chapter. Special thanks to Dr. Md. Nasir Uddin, CEO, Bangladesh Tourism Board and his excellency Dhan B. Oli, Deputy Chief of Mission, Nepal Embassy for their kind presence.